The roofing system on your commercial building is one of your biggest and most important components. Regularly scheduled maintenance by a professional commercial roofing contractor will extend the life of your roofing system and save you more money in the long run on other expensive repairs. A preventative maintenance plan with your chosen contractor can provide this care and increase the lifespan of your roofing system. Proper water drainage is very important for maintaining your roof and keeping it free from leakage. Inspecting and keeping gutters, downspouts, and drains clean and clear from debris on a regular basis will ensure they allow for adequate water flow away from the roof. Broken and/or leaking condensation drain pipes from HVAC equipment can be a constant source of moisture on the roof. 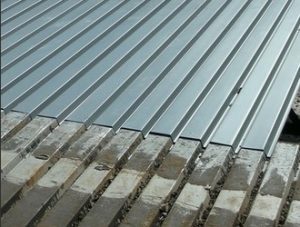 Another issue that metal roofs are prone to is lift-up at the overlapping edges. A metal roof is screwed or nailed to the trusses, so rust at these points could create a weak spot for water and wind to lift them up. Taurus Elite Commercial Roof Systems, 512-332-4422, is a commercial roofing contractor based in Austin, Texas, and specializing in commercial metal roof repair, commercial metal roof restoration and commercial metal roof services in the Austin Texas area, including Round Rock, for the last two decades.